What are you doing to increase ROI at trade shows and events? 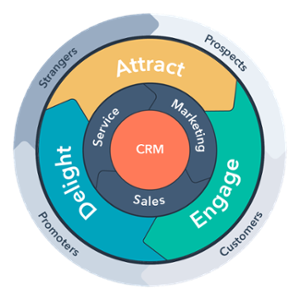 With the inbound methodology, you can boost ROI at the awareness, consideration, decision, and delight stages. A survey by Display Wizard states that “44% of business owners and marketing managers don’t measure ROI of their trade shows,” and that, “39% said trade shows create a profitable marketing tactic.” While it is true that your company will reap benefits of being at an event, having the necessary resources and strategies will increase your ROI. In the past, gathering qualified leads was easy. Salespeople could control the sales process by talking with a prospect face to face and persuading that person to purchase. With the advent of the online marketplace, the path to purchase and power structure of the traditional sales process has flipped on its head. Thrust into a digital realm, buyers today are more informed than ever before, putting more control in their hands. They know all about your company before you setup a booth at a trade show. So with the process for buying being vastly different than in years past, how do you continue to get increased ROI from these types of shows? With the power of the internet boosting their decision-making power, buyers don't need trade shows as much as they used to in order to find and compare vendors. So how can you maximize your effectiveness at these events to get the most ROI? Employ Inbound Marketing tactics. The Inbound Methodology is crucial to helping gathering more ROI during your trade show visits. Analyzing HubSpot data, an MIT Sloan MBA student recently reported, “inbound marketing is, in fact, extremely effective in securing valuable leads and getting them to convert,” and that “79% of inbound customers saw an increase in sales revenue within a year.” By using Inbound Methodology at all four stages of customer engagement--awareness, consideration, decision, and delight--you’ll see just how much of a value inbound is to your ROI than years previous. Simply by being present at a trade shows increases the visibility of your brand and has the potential to generate leads, highly qualified or not, but when you integrate the Inbound Methodology within your trade show strategy, you’ll expand reach beyond the first two stages of awareness and consideration. The awareness stage is where visibility and recognition come into play. The Inbound Methodology focuses on customers coming to you for help, not being pushy or pitchy. In order for people to view your company as a leader in the marketplace, it is crucial to maintain your brand presence. Before even getting to a show, ensure that your website is customer friendly, consistent with your brand, and information rich. Be transparent about your processes and post content that establishes your brand as a leader so that potential customers will be prompted to visit you in person at the event. By presenting a professional and informative website, potential customers will view your company as helpful and trustworthy--both important qualities in a potential home improvement partner. Make sure that you clearly indicate on your website and email campaigns where prospects can find you at the show. Leads are more likely to move from awareness to consideration if they can meet you in person at an event, but they can only do that if they can find you! Your ROI will improve if you can maximize your visibility online before the event, driving traffic who already are aware of your company. Attending trade shows regularly and consistently will establish your brand as an active player in the market. But what happens if you don’t attend year after year? If your booth vanishes, it’s possible that buyers will assume that you've lost market share, decreased in credibility, or even gone out of business! Get to know more about our 4 Steps To Trade Show Success. Consideration goes hand-in-hand with lead generation. You’re going to want to capture potential leads in all stages, but qualified leads will be the ones considering your product or service in earnest. Many times, qualified leads will seek out your specific events to learn more about your solution to their problem. When leads come to you, Inbound Methodology calls for a helpful, prepared response. You’ll want to have a plan in place pre-event, so you are able to jump right and engage with your prospects. Make sure you go to each trade show or event equipped with informative and engaging content and with a lead generation strategy in place! You may wish to establish a show-specific Hubspot landing page or Hubspot form embedded into a lead capturing app in order to record prospects' information on the spot. By making it simple and painless for leads to give you their information, you will have fewer "Maybe later"s and more leads--already in your CRM--after the event. That's a huge ROI boost! By following up with leads soon after the event in a helpful, non-pushy manner you can even further use the Inbound Methodology to nurture new prospects. When you have qualified leads that want to know more about your product or service and are planning on potentially making their decision, do something to peak your leads' interest in coming back, whether it be to your booth later in the show or to your service at a later date. Going out to dinner or happy hour to dive deeper into your leads needs. If your lead is nearing decision make sure that you have their contact information. A thank you note, an invitation to a demo or event, or a follow up with information that they requested can be the tipping point to confirm their decision. By positioning your business as eager to help, your prospect will feel valued, making them more likely to use your service over others. That personal, inbound touch can lead to big ROI gains. Customer Satisfaction: Create surveys or NPS scores and have them available during your event. Ask your current customers or even those stopping by your booth to rate how they feel things went. Recommend Products: Ask customers who have purchased what their favorite products are and what they would recommend to others. Testimonials: Whether it’s written or word of mouth, testimonials are huge during trade shows and events. Set a goal to get 3 or 5 testimonials during your time at the show. Camera/Videos: If you have a videographer on staff, bring them with and have a small spot by your booth set up for customers to say there experience right there. You may also reserve an area to capture on video satisfaction, recommendations, and testimonials. Customer satisfaction is a huge part of business, if satisfaction isn’t there you most likely won’t see ROI from your events, let alone what you offer. Referrals are a major influencers in decision making for other prospects so having a good satisfaction rating will improve your ROI and lead to customers referring your business by word-of-mouth. Depending on the lifetime value of a customer you’re already getting the most ROI you can for your expenses. We suggest localizing in certain areas based of a particular spot of an event or show. That way you are able to hone in these delightful opportunities to garner more leads. Track Your Leads then Update Regularly: Provide a system for recording visitors to your booth through your landing page or by a CRM system. Calculate Customer Value: Lifetime Customer Value (LCV) shows profitability of prospects overtime. Always Measure and Optimize: Each trade show or event is unique, you will want to measure each events’ ROI. Don’t wait to set up post-event communication until after the show: you’re going to be busy after returning back to the office. Spend some time preparing basic follow up content that you can customize quickly after the event to expedite communication. Try different messaging at different shows: With multiple shows a year, sometimes you’ll have similar audiences, so switch your marketing content up! Use different landing pages and offers, to avoid being redundant. Some people like physical copies of collateral but keep it short with less: Most of the time paper ends up in the trash at events, so consider offering a digital version of your materials. You can offer to send leads the materials via email to save them the hassle of carrying around a stack of paper, positioning your business as helpful and also obtaining their contact information for your CRM--a win-win! Align sales and marketing teams: if there is a lack of follow up from sales or marketing, things can get messy. Get on the same page for messaging and follow-up so that your customers see a cohesive team and receive a seamless service experience. What About Small Businesses Wanting to Get More ROI? Much of what we mentioned pertains to those businesses who have the money to spend at going to one, two, or three trade shows and events throughout the year. For smaller businesses gathering that ROI seems daunting when your expenses aren’t up there with the big leagues. If you don’t think you are able to execute all of what we mentioned above, no worries. Pick and choose specific items that your team feels is obtainable and able to accomplish. If you don’t have the resources to accomplish any or all of these tasks on your own, fear not! There are companies like Denamico, who help align teams, create strategies, and get you the most ROI for your trade show and digital marketing efforts.